2 night min. for weekends and holiday periods, 3 night min. for some holiday periods. No pets. Children 5 & under free. Rustic Ski-in Cabins have outhouses, wood fired heat, and no electricity. Houses are equipped with plumbing, electricity, satelite TV, drive up, linens, full kitchens, etc. Check in time is 4:00 PM CST and Check out time is 11:00 AM CST. Late check outs are normally not allowed, however early check ins are possible in many cases. The lodging fees do not include ski passes, lessons, the wood fired sauna reservation or equipment rentals. Ask about multiple day discounts at check in. Cancellations must be in writing. A full refund, minus a $40 booking fee, will be refunded up to 90 days prior to check in. Cancellations within 90 days of the check in date will not be refunded any of the deposit(s) paid unless the lodging period is re-rented, then a pro-rata portion willl be refunded. There are no exceptions to this policy for an early check out, for poor weather, poor health, bad roads or bad snow. The “Early Season” Cancellation Policy is designed for people to reserve lodging early season when we don’t always have snow. It is designed to make a reservation from Nov 1 to Dec 6th which is the time peiod that we typically open.You need to make a comittment and book the lodging in advance, then you need to wait and see and if we have skiable snow the day before your reservation. You can not cancel a week before and get a refund based on a forecast or based on snow out west etc. 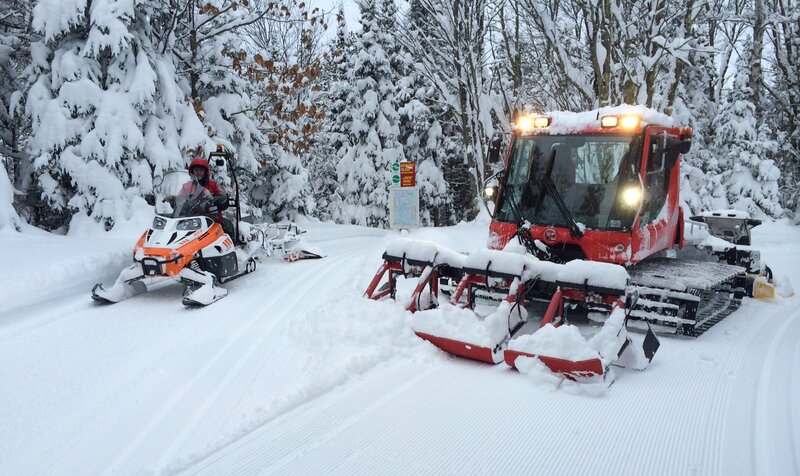 “Skiable snow” can be thin snow cover and may only have a portion of the trails open. If the snow becomes unskiable and we close the trails during your lodging stay, you can cancel the night following the closing at no penalty and get a full refund for the closed period. If you decide to stay when we are closed for skiing the rate will be adjusted to ½ price. Cancellations must be in writing via confirmed email or postal mail. A full refund, minus a $40 booking fee, will be refunded up to 45 days prior to check in. Cancellations within 45 days of the check in date will not be refunded any of the deposit(s) paid unless the lodging period is re-rented, then a pro-rata portion willl be refunded. There are no exceptions to this policy for an early check out with skiable snow, or poor health. If there is not skiable snow on one day prior to the first date of your reservation, we will allow cancellation with a one day notice for a full refund. Late check outs are billed an additional day’s rent.